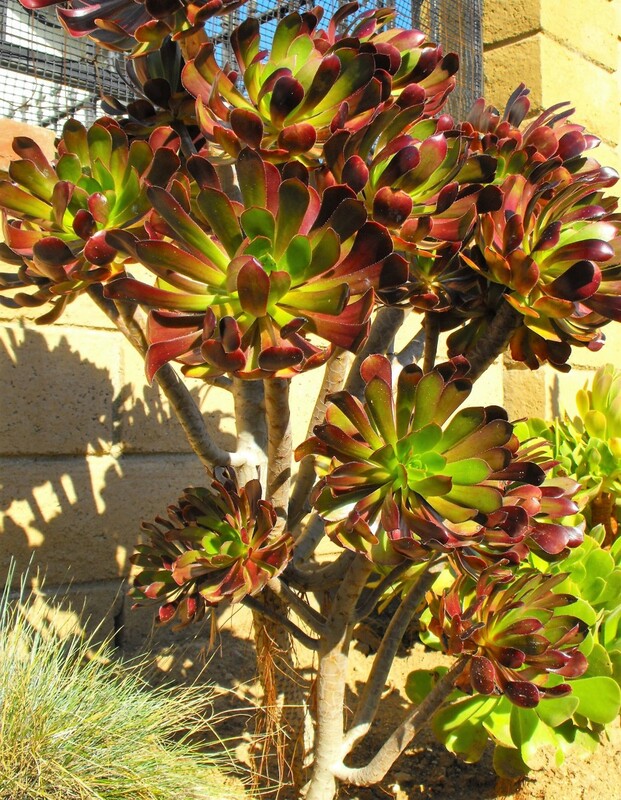 The succulent plant pictured here is an Aeonium arboreum 'atropurpurem'. The common name is in question because each nursery seems to have a different name. 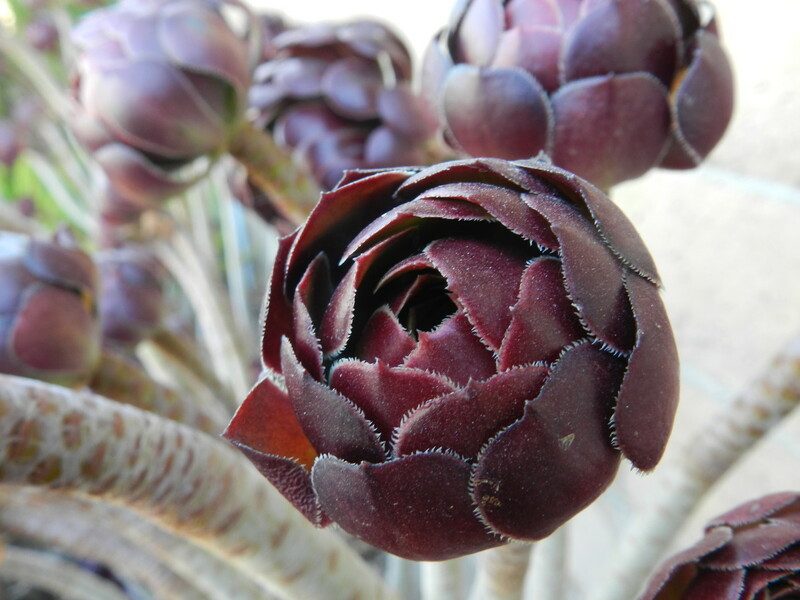 Purple aeonium is one name. 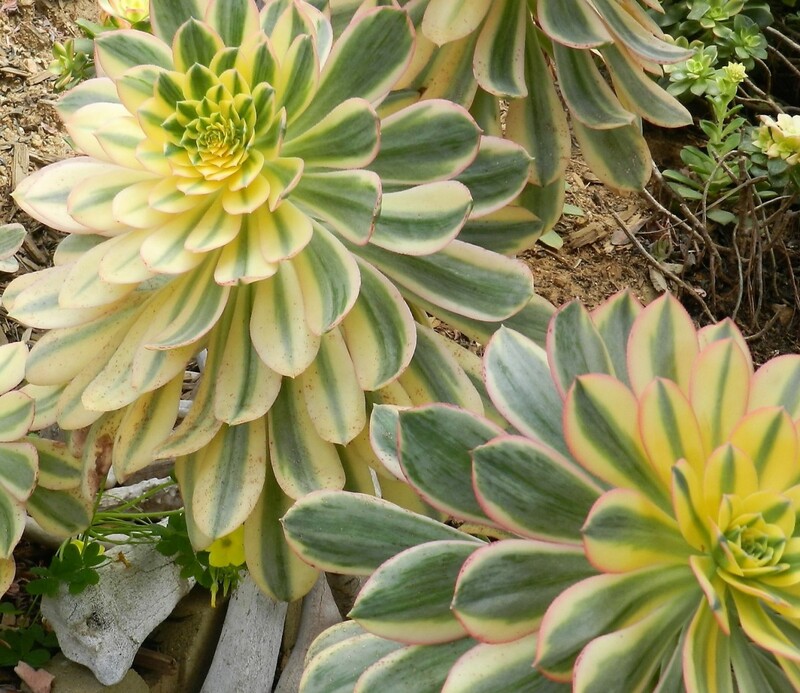 There are many types of succulents and the aeonium is a big group. My last focus on succulents was in the seventies. I was a single Mom then and they were an enjoyment for the householder that could not afford buying plants. The next huge interest started about ten years ago when our slope needed a do over. 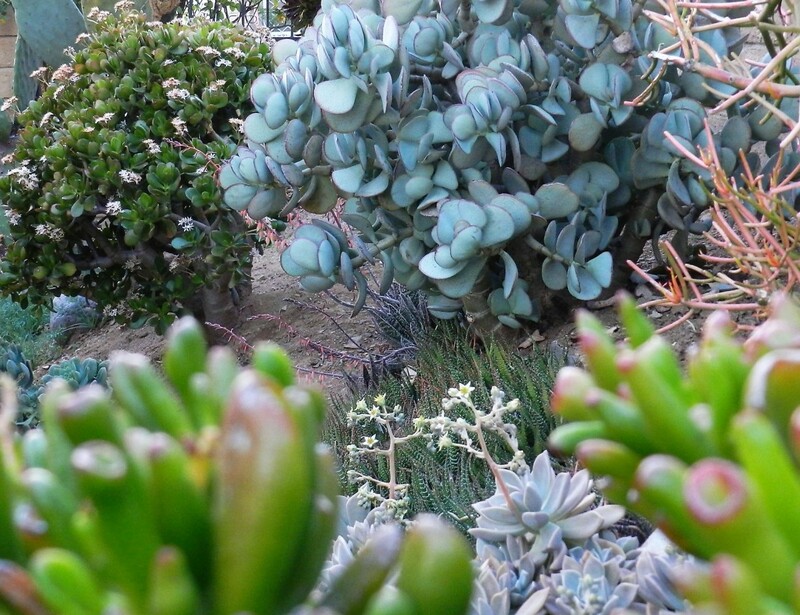 The internet and published books on the subject of succulents and cactus has made the slope gardening project a very absorbing pursuit. 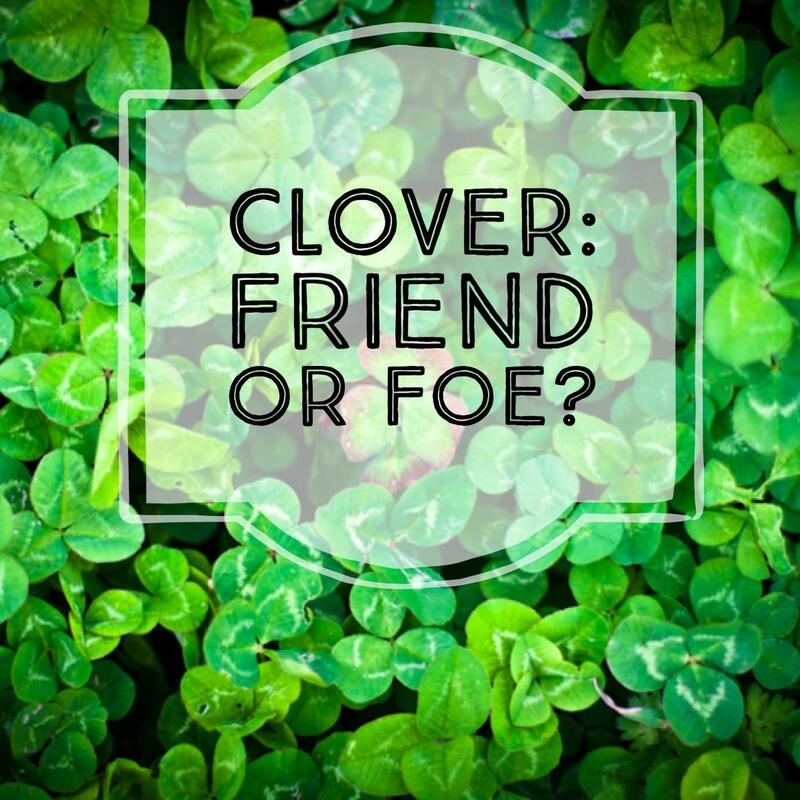 Pinning down the name of a single plant can be exasperating. 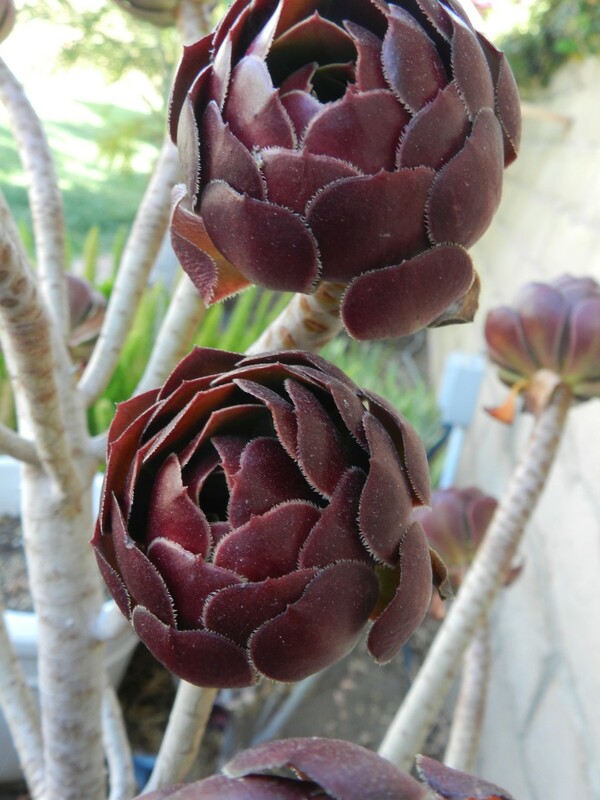 To do serious shopping for this plant it is best to go by Aeonium arboreum 'atropurpurem', an easy care succulent to accent your flowerbeds or grow in pots. This plant has been in the present pot for three years. To keep a good looking shape break off long or weak branches and clean off dry leaf segments. It gets twice a week watering in the hot summer. It has become a beautiful walkway accent. 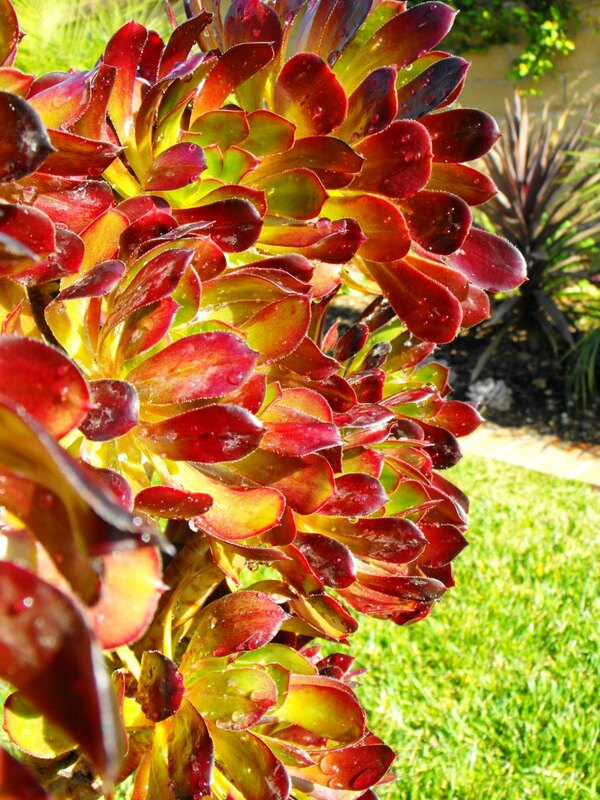 The plant gets full sun all day during the winter months when temperatures are between 60-80 degrees during the day. Occasional night frost does not cause damage. 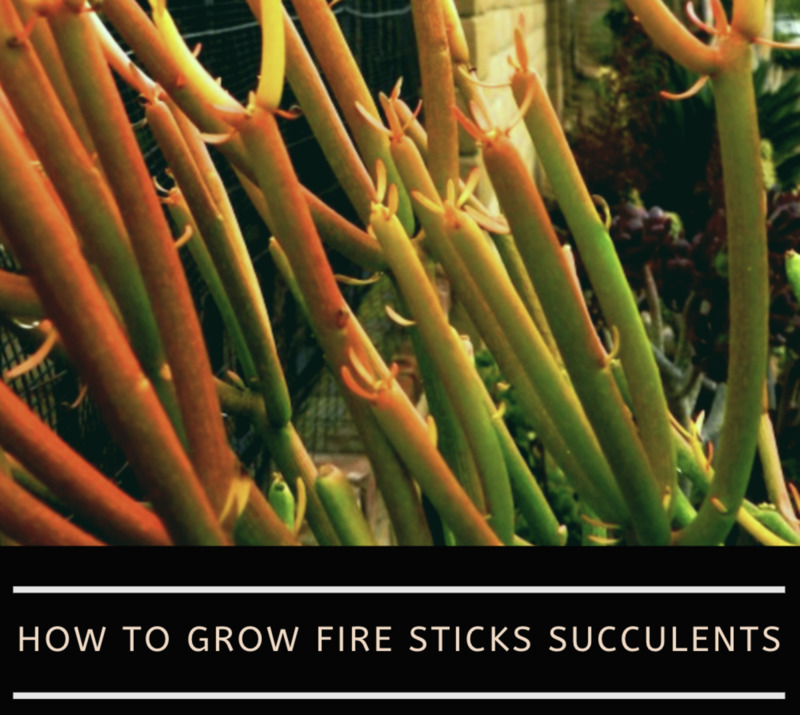 Before spring comes, break off long stems and pull out by the roots big heavy sections and start new with a few 9 to 12 inch stems with branching rosettes. During the summer the rosettes will appear tight and smaller. The dark phase of the plant is pictured above. This is the warm dry summertime results. The plant is stressed but shrinking and closing up is perfectly natural and does not hurt the plant. In the spring the same stems will have full leaves and big yellow spikes of flowers. 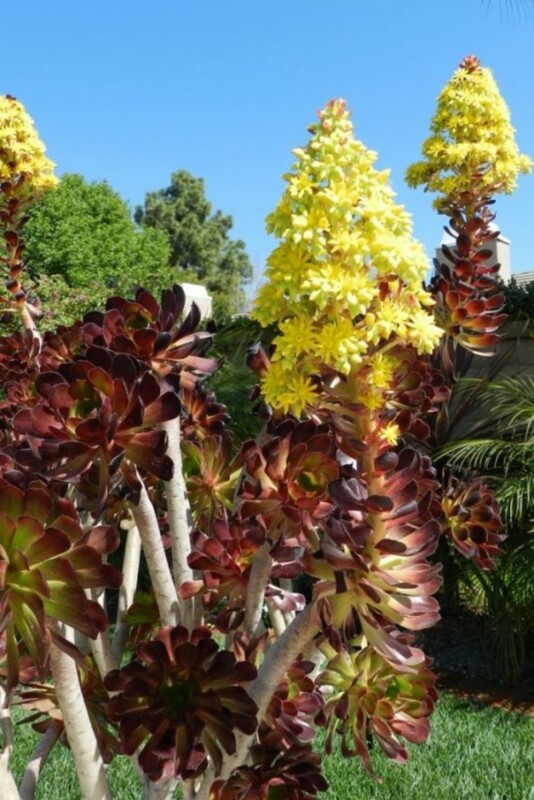 These seasonal changes allow aeonium to survive. Below is the potted plant in bloom for the first time. It has been in the pot 3 years. 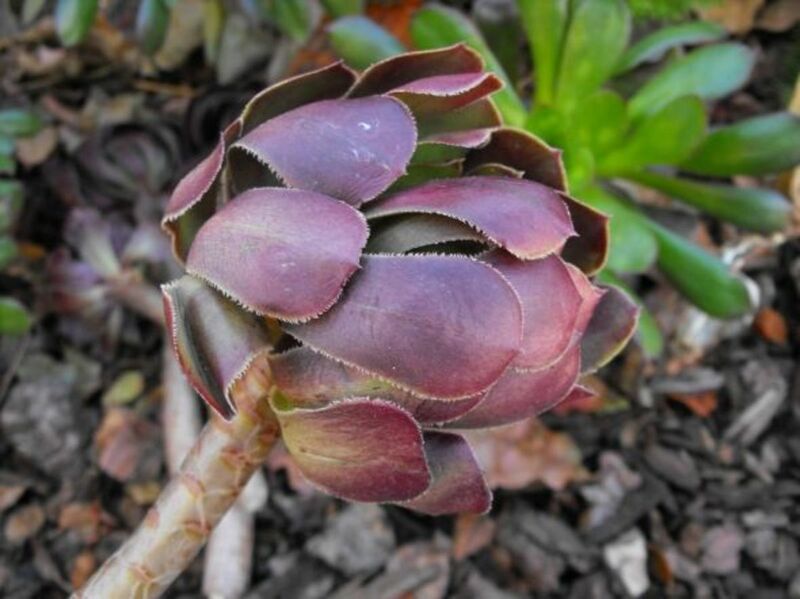 Most types of aeonium have these cone shaped yellow spikes, but none are as showy as the purple aeonium. 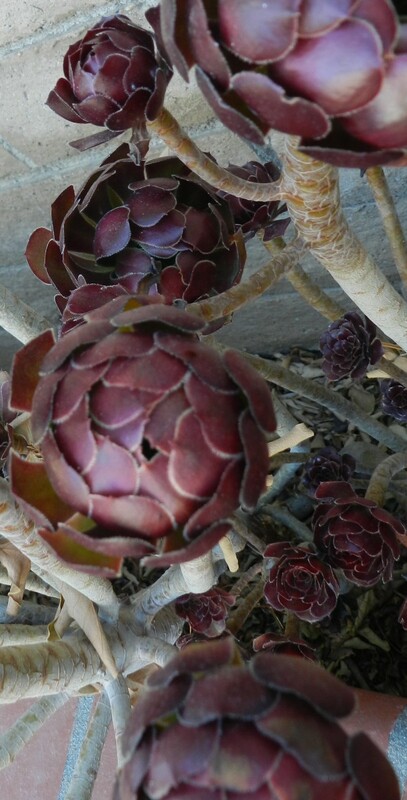 After the blooms wither and turn brown break the spikes off at the first branching underneath. These are hardy plants and will tolerate breakage. Neglected plantings in landscapes will shed and break minimizing work for trimming. Two or three plants will produce cutting for friends and extra to throw away. 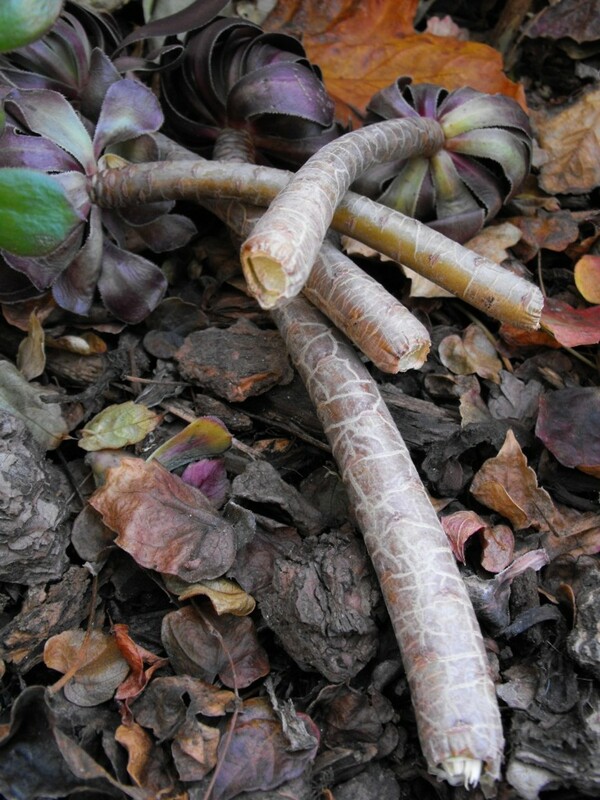 Succulent stems ready for planting. 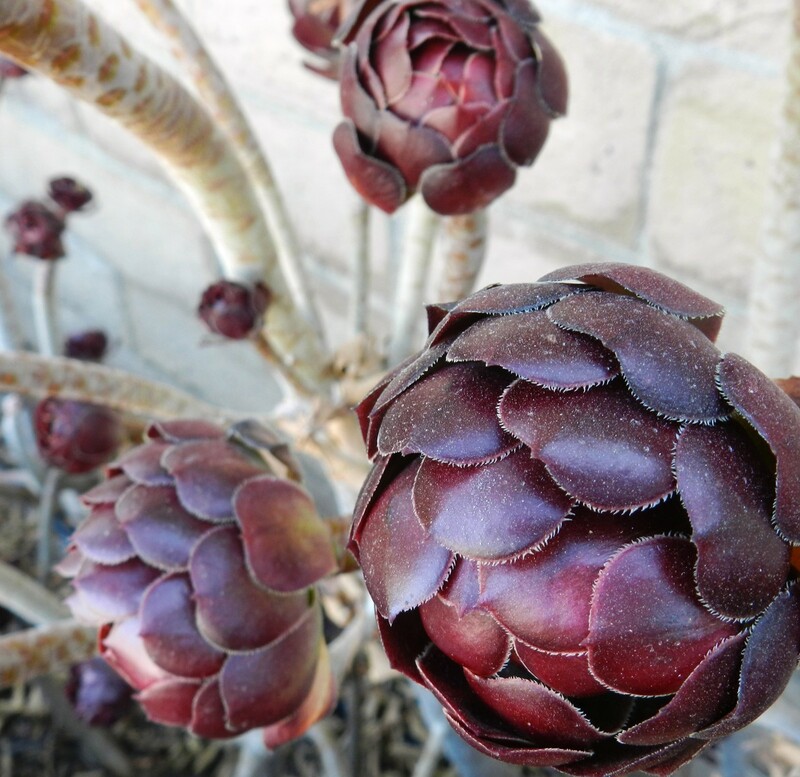 I have several Purple aeoniums in the succulent garden. There may be accidental breakage of branches or most often, I will break branches off to keep a particular plant in a desired shape. Let the branch dry out at the tip as shown in the picture. A couple of days is all it needs to dry the end and allow new roots to form. The drying will avoid the end from getting mushy or moldy. A condition not good for replanting. Now the succulent cuttings are ready to put in soil. 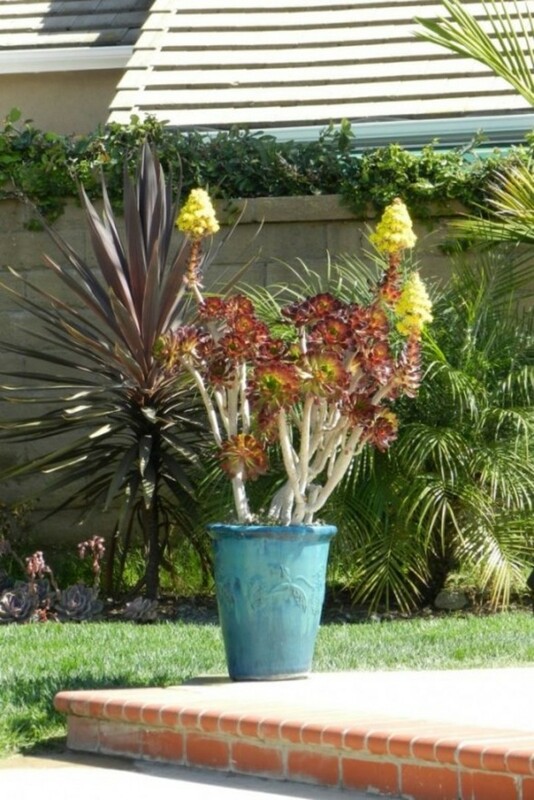 Use standard planting mix if it is going into a pot. 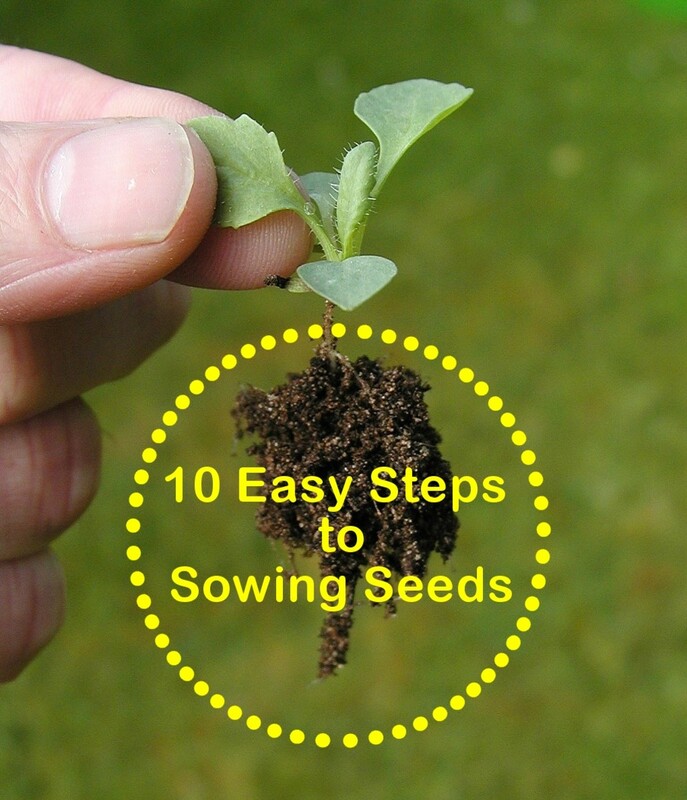 If it is going into the yard put the branch in the ground three inches deep, cover the hole with the same soil and pat down so the branch remains standing. Give it water once a week in the summer. If you live in any Mediterranean climate, once the plant is rooted, it can dry out for several days to one month between watering. The Mediterranean climate is a zone that receives about 7-9+ inches of rain in the winter with almost no rain in the summer. At one time, Cannas filled the area between the bench and wall. 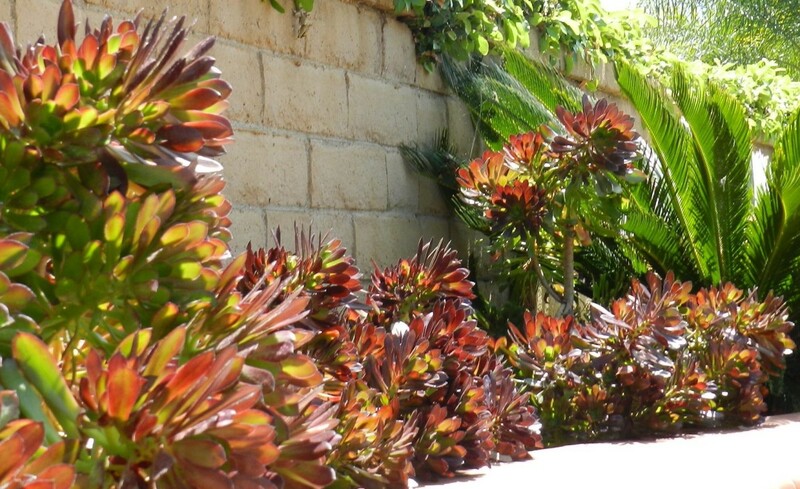 The less thirsty purple aeonium will be the new plant for this location. Six cuttings and stems no bigger than the ones shown with the dog will start the project. Hank is my constant helper when I am working in the yard. 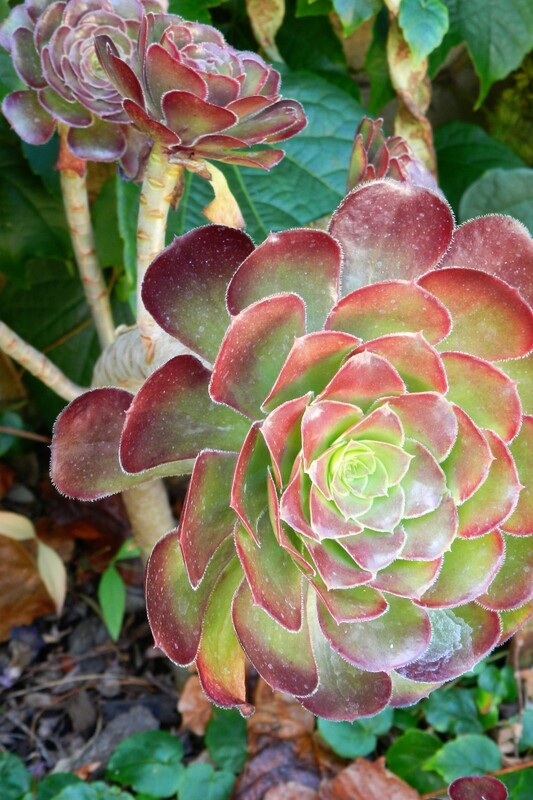 The succulents have grown full and showy. 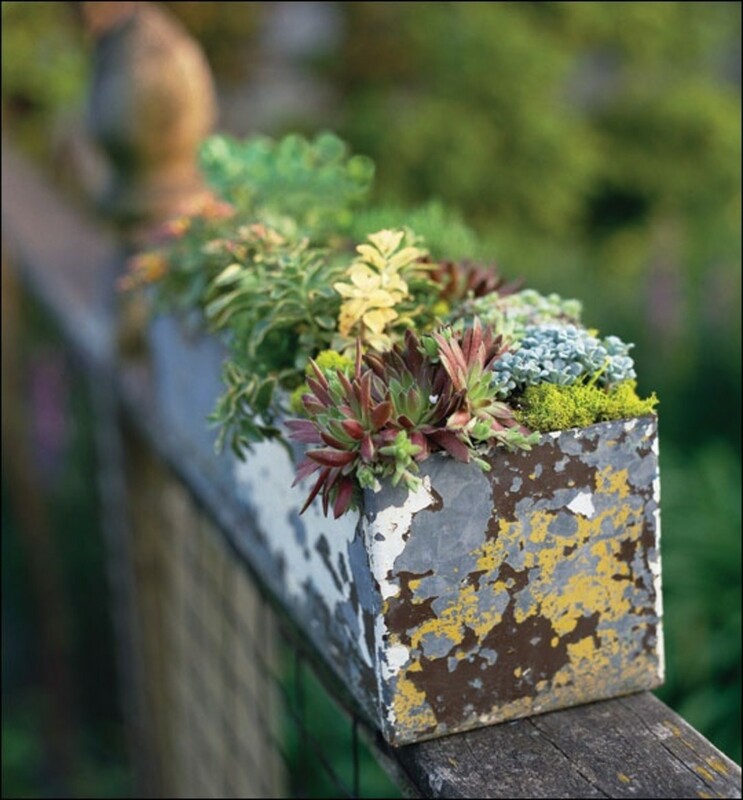 Pulling out the plants that get too tall and replacing them with a new cutting should keep the look trim and colorful. Vote for the answer that applies to you. I have succulents in pots only. I am growing succulents in the yard. I do not have succulents. I do not garden at all. 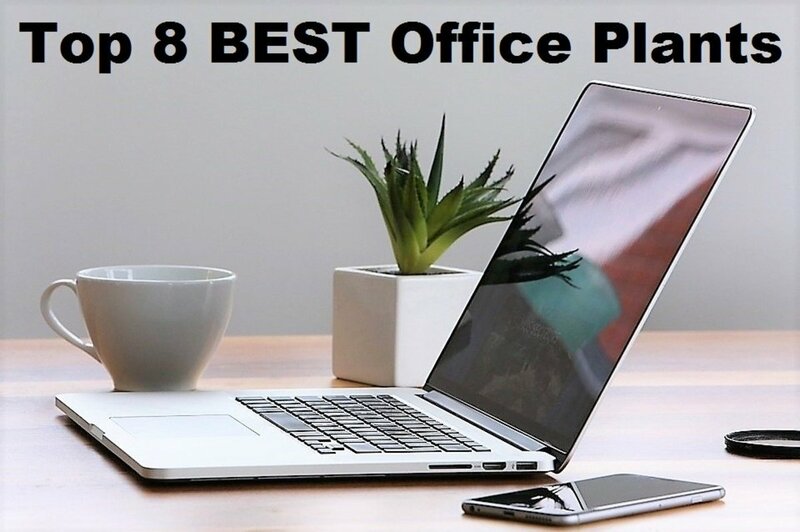 Leave a message about your experience with this plant. These are beautiful. I remembered my mother having a collection of these. 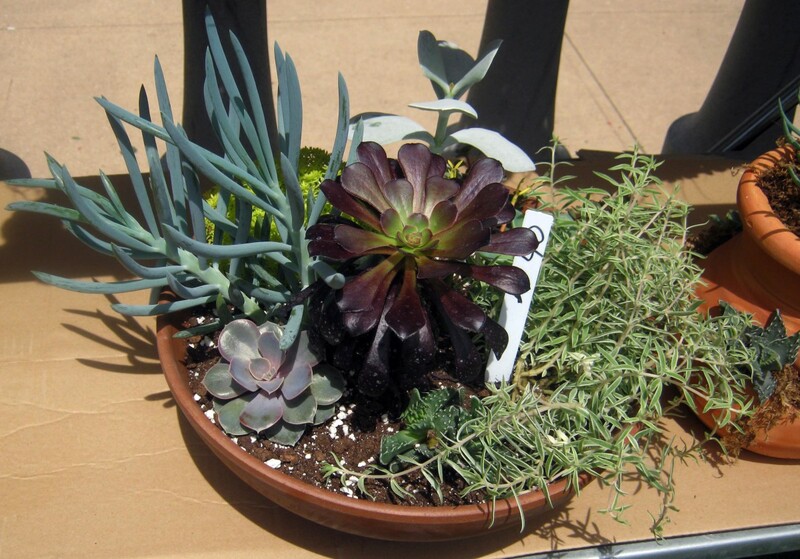 Friends keep urging me to try a succulent since I'm a killer of green things and they swear they are herder to kill. I've not gotten brave enough yet. I am just starting out with succulents. This is a beautiful one! I hope mine grow as well as yours. 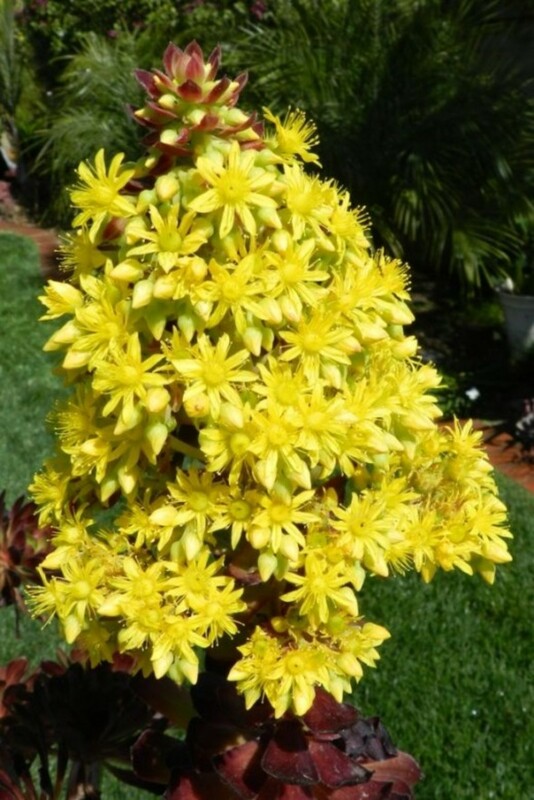 My neighbor's Aeonium is in full bloom right now. Bees galore. She gave me a few starters, so I have several in pots and around the garden. Hank is sure a cutie pie. 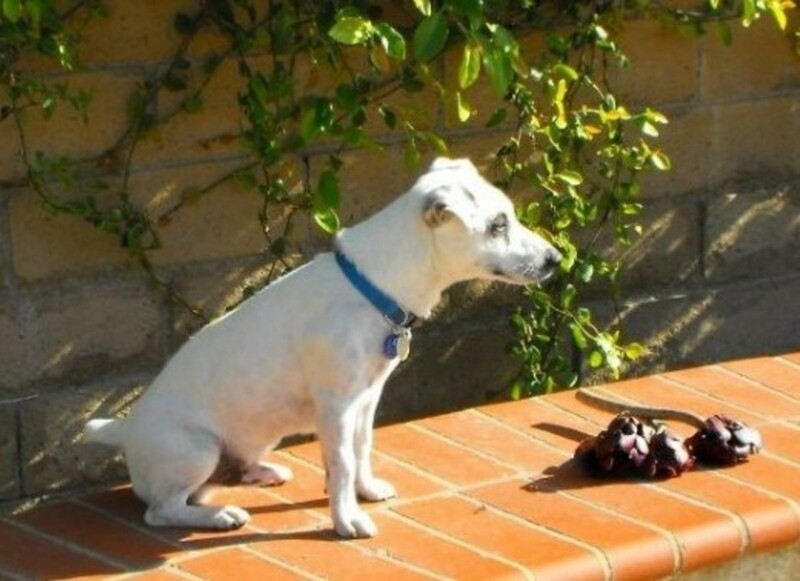 It's always nice to have a companion while gardening. They are in my new garden (we just moved). Still trying to identify all the succulents and learning how to care for them. I just found out that a couple of the branches that had broken off (because of my dog, who thinks the whole garden is hers) can be replanted and will grow! That's wonderful! Great lens! 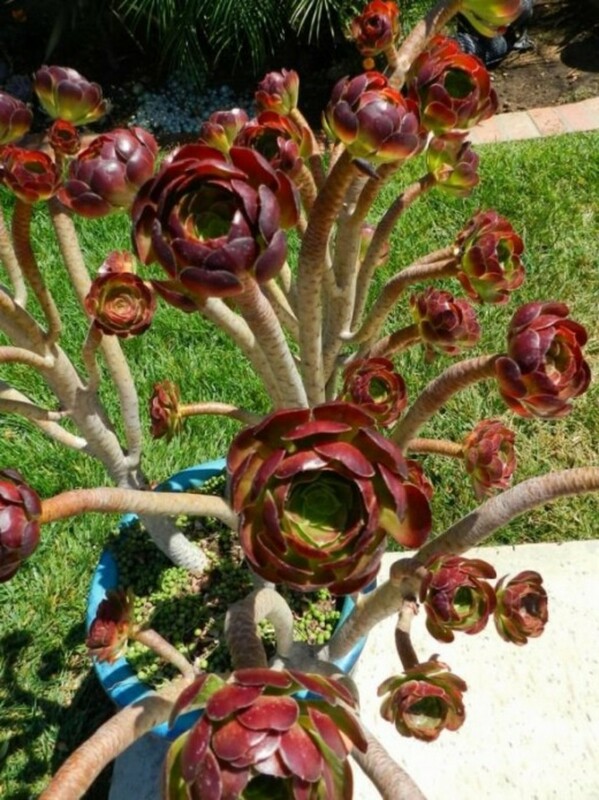 I sure enjoyed reading about the Aeonium Succulents and Hank is precious! The latest succulent I have acquired is a Rock Pursiane which looks like a cross between an orchid and a succulent. I love it. Thanks for this lens on succulents and the useful tips. Great coverage on this particular succulent. Lensrolling to my Succulent Plants lens. I think I have one of these. I have lots of different succulents in my Florida garden and don't remember all of them. They work well here because sometimes it's very dry and sometimes we seem to have monsoons. They live through anything. I try to use lots of succulents in my garden because they do so well in the heat here in Florida. Awesome lens, and wonderful pictures and descriptions. Loved it. You've inspired me...especially after my roses scratched up today...I just might trade them in!